The total darkness of rural nights can overwhelm some overseas visitors to Australia. Many, especially those used to big Asian cities, can sometimes feel a little uncomfortable on nights when the stars and the moon are hidden by clouds and the world is dominated by a cloak of black rather than a sheen of neon. Some visitors might then consider it fortunate that an industrial glow lights the night sky near the Twelve Apostles on the Great Ocean Road. 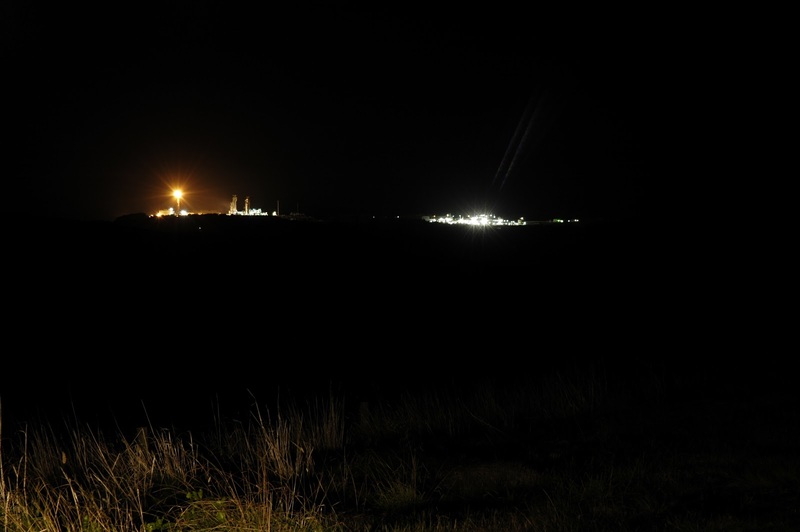 The lights and flame from the gas plants near Port Campbell would almost certainly be mistaken as a city by some visitors unfamiliar with the coast. Some though might even think the city was burning thanks to the red glow of the flame which lights up the night sky. But as far as I know there have been no recent phone calls to the local CFA to report a fire. There have however been plenty of calls to the Environment Protection Authority (EPA) about the toxic gas plant noise. One fella tells me he logged at least 70 phone calls with the EPA. When one gas plant operator, Origin, tabled the number of complaints about noise at a recent community meeting they allegedly suggested just one noise complaint (in a three month period) had been received. The numbers, like polluting the night sky of one of Australia's most popular tourist coasts, don't make sense - no matter where you might come from. I have since been told by a fella who wants to remain anonymous - he's worried the gas plants my not use his services if he is critical of them - that people have reported fires that turn out to be the gas plant flame. The flame that can be seen is supposedly the emergency flame. There is a device which allows for a flame to operate nearer ground level (and would be much less visible - but it's probably not working correctly and so isn't used). The Origin gas plant was first owned by Woodside and it has been plagued by operating problems since first commissioned some five years ago. From a tourist point of view, visiting Austalia means (imho) discover an amazing natural world, not a new industrial place. What if you came to visit Rome and found a McDonald in the middle of Roman Forum? Hoping you get the way to turn out the light, and come back to see the southern stars.